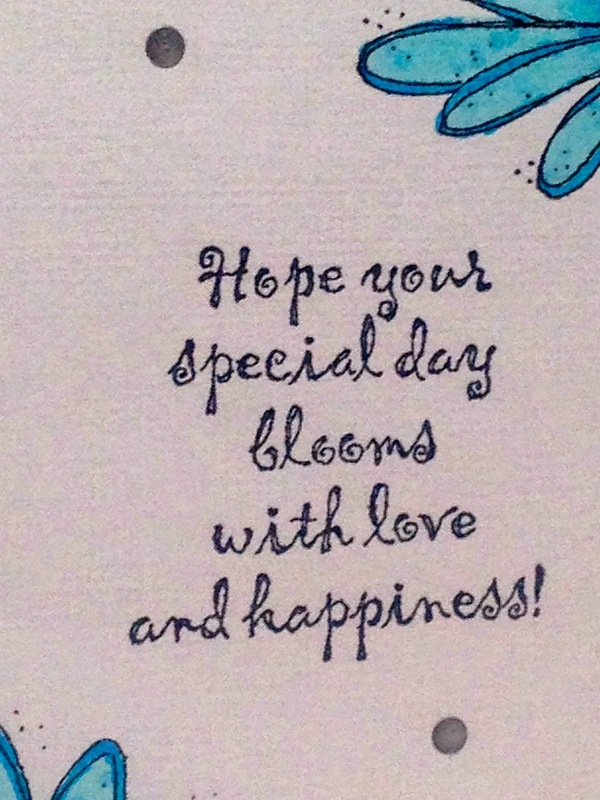 This card really represents how I'm feeling lately: blooming with happiness! Watching the earth come to life again, and the wonderful feelings and emotions I experience as the flowers bloom and the air warms…I'm blooming with happiness! I made this card for a woman at my church who loves flowers as much as I do. It's a very simple, one layer card (well, two, if you count the card base. 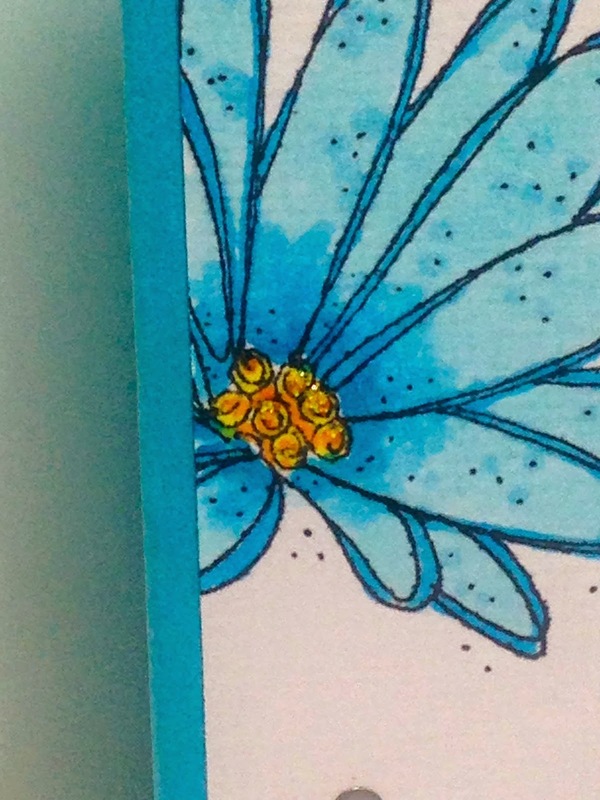 Copic Markers bleed through to the other side, so you have to have a separate card base). I simply stamped all the images and sentiment from the retired Stampin Up! 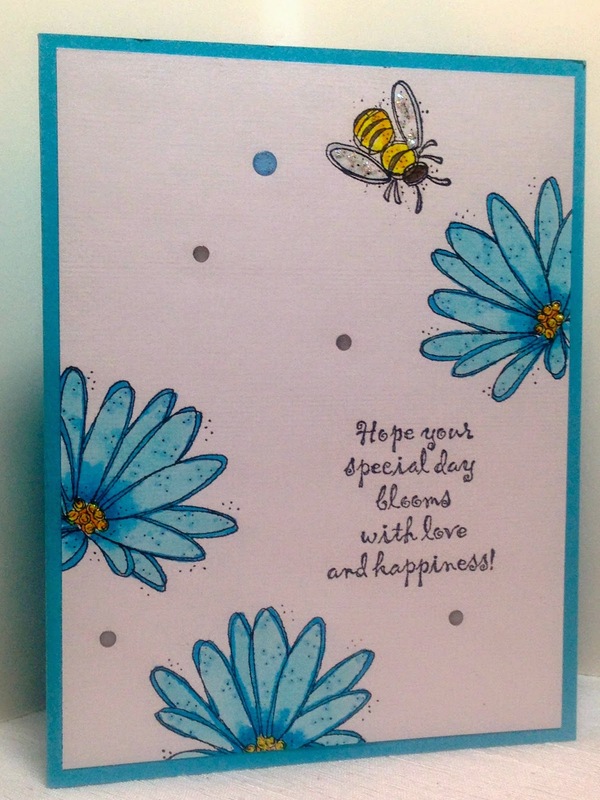 sets 'In Full Bloom' and 'Love Blooms' onto a sheet of white card stock and colored away! 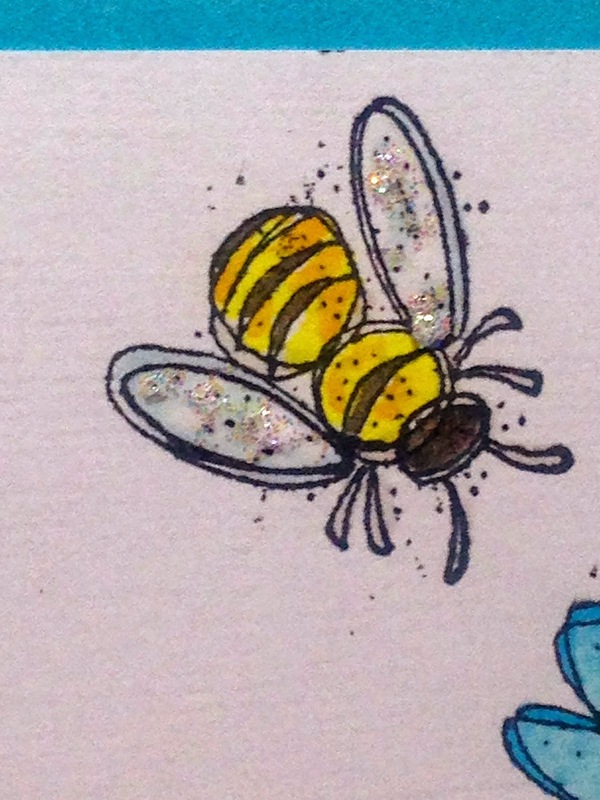 I added Stickles to the Bumble Bee wings and the centers of the flowers. 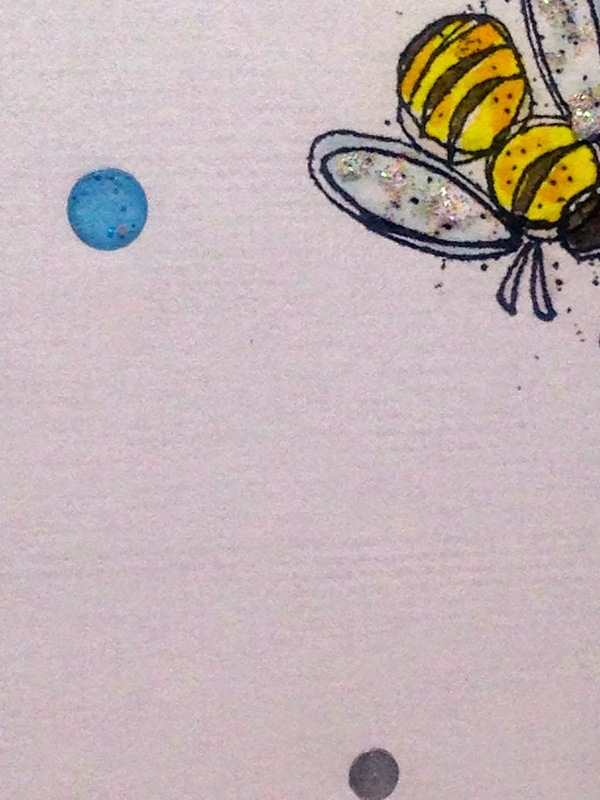 The little dots are acrylic stickers or 'water dots'. I hope your day blooms with love and happiness too! Great card design and color choices. Love this stamp set, one of my favorite retired sets! Did you free hand those illustrations? Can I say that at first glance I did NOT Think this card was hand made and totally thought it was purchased. Absolutely beautiful. I'm sue she really appreciated it and you must be so organized to be able to dedicate to these types of projects. Ugh, you just totally inspired me to make time for art. I used to paint weekly and really loved that creative outlet.